This telephone tap is activated once a call on the line takes place. At that moment, an alert is sent to your phone with a single ring, indicating you may now eavesdrop on the call. Note that this is a one way communication link, so the parties being monitored are unable to hear that you are privy to their conversation. 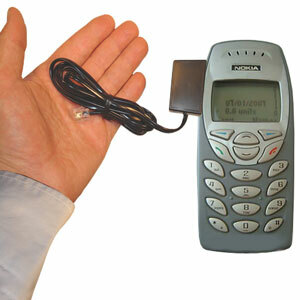 For communication storage, you are able to record all phone calls that come and go from your targets phone line. Simply connect a phone recorder to your phone line that receives the phone surveillance, and store the conversation.